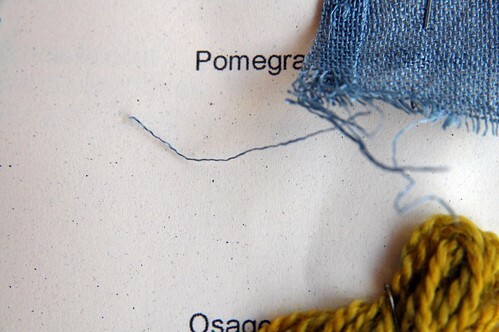 Natural dyeing is something I’ve been wanting to try for a very long time. The idea of one day growing things in my backyard that I can harvest and then dye my own fabrics with is incredibly exciting. When I browse through seed catalogs, I’m always taking note of the plants that are candidates for my future dye garden. When I caught wind that Julie Sinden had lots of amazing experience in the field, I set the wheels in motion to set up a class as quickly as possible. The class was pretty magical. It opened up a whole new world of possibility with textiles and sewing for me. 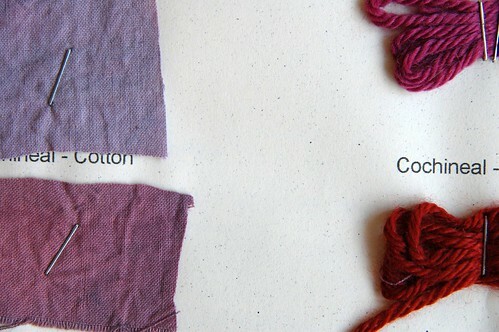 Just the history alone of where these natural dyes came from is so interesting. 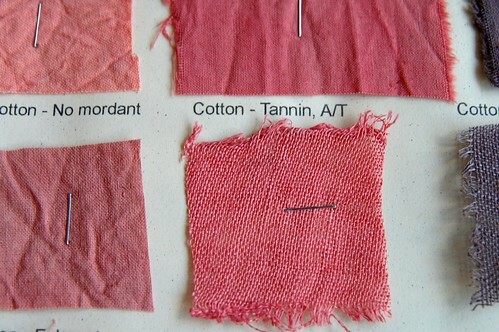 Also, natural dyes are not exactly what I thought – you can’t actually use beets to dye fabric or yarn, as it won’t last and neither will turmeric. Pomegranate skins will give you a yellow-ish colour, not pink or red. Rhubarb root, mushrooms, oak leaves and walnut husks are all possible dyes that I’m interested in trying. 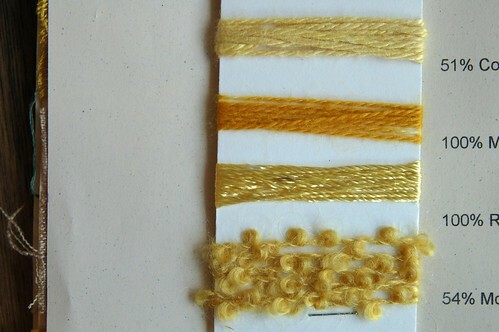 I’m cooking up some future dyeing projects for myself already. The last day of the class we did indigo dyeing which is a post all on its’ own. Just look at all this yummy colour! This is something on my WANT TO DO list…..have a list of all the plants and even have been on the Natural Dyeing yahoo group for awhile. One day – my garden will have all the plants!!! Would LOVE to take a class from Julie! Am coming to the Toronto area August 1st…. 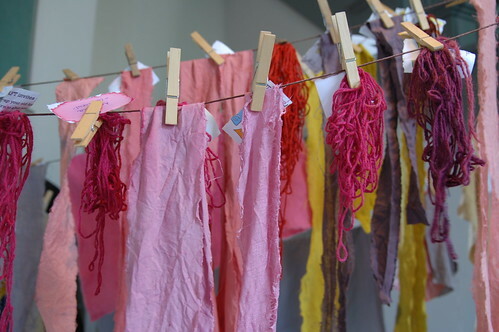 Aprile & Dale Anne – we have another Natural Dyeing class planned for September, hopefully it will fit into your schedules! you’ve opened a new door to me. thanks. Oh! Those swatches are beautiful. I definitely want to take this class..one day. Hopefully you’ll still be offering it when I get back to Canada. This is wonderful! I love how the colours turn out soft and feel so “real”. This is also something I REALLY want to learn along with spinning yarn. I can spin yarn and then dye it with plants. Thanks for the motivation. So pretty the colors! I would love to take that class, let me know when the next one is! there’s something so God like about dying fabric!